Packed with never-before-seen photos, exclusive interviews, and fascinating facts, you'll find everything you ever needed to know about Harry, Niall, Liam, Louis, and Zayn inside! A must-have for every One Direction fan! 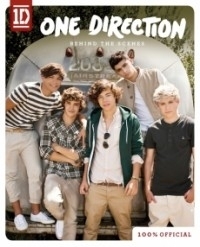 If you have a One Direction fan in your life, this behind-the-scenes book would be a great gift. It's not the most complete book, but there are profiles on each group member: Harry, Niall, Liam, Louis, and Zayn, and never-before-seen photos. You can even test your knowledge about the boys with the trivia questions. Overall, this is a fun, colorful book that fans will enjoy.